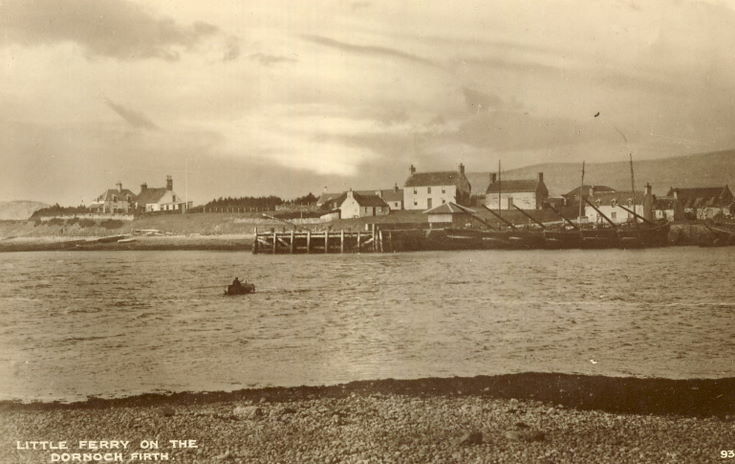 Monochrome postcard with annotation 'Little Ferry on the Dornoch Firth' showing the pier and houses on the northern bank of the ferry site. From an album containing a selection of postcards and photographs taken by Mrs J.I.C. Mackayo f Dornoch and surrounding area.